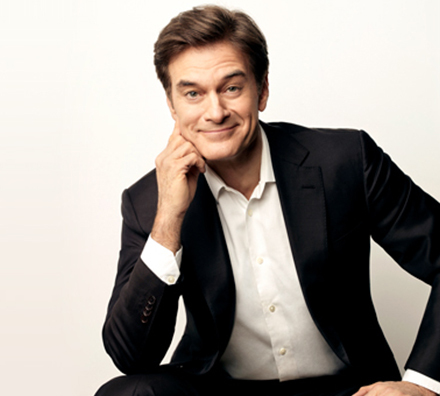 Most consumers have heard about Dr. Mehmet Oz from his appearances on the Oprah Winfrey Show. Dr. Oz is also known as “America’s Doctor, ” the host of the Dr. Oz Show, is Vice-Chair and Professor of surgery at Columbia University, and a published author on general wellness. He uses a team of more than 20 MD’s who are experts in their fields to promote wellness, and helping consumers get healthier. Early in 20008, Dr. Oz outline the basics of how to effectively create and stick to astop smoking plan in order to kick the tobacco habit for good. When Dr. Oz first appeared on Oprah to cover stop smoking topics, he made the point that from his experience, quitting smoking is more about fear and less about will power. With more than 500,000 people dieing each year from first or second hand smoke, instead of being self-critical and failing to take action to give up tobacco cigarettes, you should seek out the stop smoking help and stop smoking aids that you need to quit. With nicotine addiction being equated to the same level of addiction seen in heroine addicts, trying to quit smoking for good is one of the hardest things you can attempt to do in life. Add on the habits formed while smoking such as the hand-to-mouth motion of smoking, the time and locations for taking a break, etc and stopping is not going to be an easy thing to accomplish. Many parents don’t realize it, but when smoking in the car with their children, enough second hand smoke is inhaled by your kids that approximately 1 in 4 smokes-worth of toxins are inhaled by your kids. This can result in various physical problems being experienced by the children to include emphysema, cancer, heart disease, asthma, SIDS, and COPD. The majority of traditional tobacco cigarettes have more than 4,000 toxins and more than 60 carcinogens that will have short and long term effects on your health. 1 – Take Dr. Oz’s quiz on Oprah’s website to determine what type of smoker that you are. 2 – Get yourself ready mentally and physically to stop smoking. You will need to set a date that you will quit and start incorporating healthy habits in your lifestyle before you quit. 3 – See your doctor and find a support network to help you prepare for your quit day. 4 – Make a plan to prevent relapse. Find new activities to take your mind off of smoking and determine how to avoid being placed in situations that you may be tempted to smoke again. He recommends not to stop yet. Find a physical activity such as walking to do every day for 30 minutes and talk to someone about what you’re doing when done each day. This will ultimately help with the weight gain you may experience after stopping, but it is giving you an activity to do every day to help take the place of smoking. Days 31-32: If approved through your doctor, consider taking Wellbutrin once a day in the morning to battle the cigarette cravings that will develop. Not everyone can take Wellbutrin and specifically those who have high blood pressure or a seizure disorder may not take the drug. You wll need to continue walking every day at this stage of your quit smoking efforts. Day 33: Make this your quit smoking day. You will need to get rid of all of your tobacco products and related material. If using a nicotine patch as prescribed by your doctor this will be the day to start taking the patch while remaining on Wellbutrin and continue walking every day. The Dr. outlines that the hardest days in your quit smoking efforts will be the 3rd through the 5th day, but once you make it to overall day 40, or the 7th day after stopping you are on track for remaining off of tobacco cigarettes for good. You can read more on Stop Smoking from Dr. Oz in his book, YOU: The Owner’s Manual.